Click Here for our FREE SHIPPING offer! We offer Free Shipping on most orders over $99 to the contiguous United States. Orders shipped to Alaska and Hawaii are excluded. We offer Free Shipping on most orders over $49 to Oregon and Washington. Free Shipping does not apply to Surge Protectors or heavy items like Bulk cable, some heavy or long cables, Racks and some Rack Equipment. Although you can add excluded Free Shipping items to your Free Shipping Order, it will not count towards your qualifying total, and once the rest of your order exceeds the Free Shipping threshold, the shipping will show for just the items that are excluded from the Free Shipping offer. If you purchased enough items to qualify for the Free Shipping discount, and then later returned some or all of the items bringing your total below the Free Shipping threshold, then the original shipping amount will be deducted from your refund. Free Shipping orders are shipped via UPS Ground Service. Free Shipping orders can not be shipped to PO Boxes. 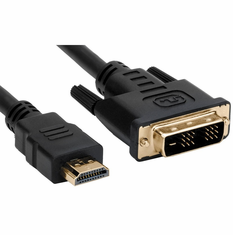 High-Definition Multimedia Interface cables are available now for the following applications: Plasma TV's, LCD TV's, HDTV, DVD Players, and Rear-Projection TV's. 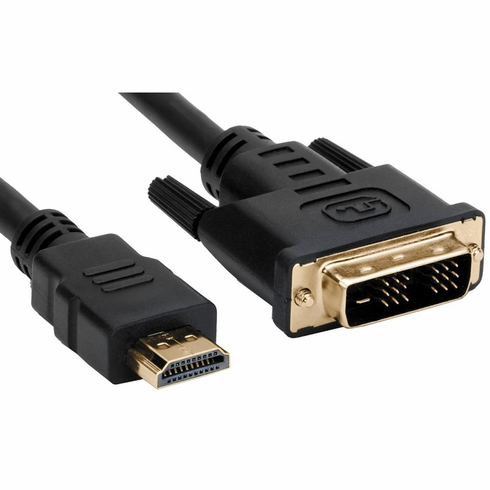 HDMI cables eliminate unnecessary signal conversions, supports high-definition video, multi-Channel digital audio with a 5Gbps bandwidth, bi-directional signal transfer. I am using this to connect my laptop to my HDTV. ConsCable is heavier and stiffer than I expected. Delivered on time, Item as described, works great. Merchant Response:Hey Matt, Sorry you received a defective cable. We have not seen an RMA Request to get you a working one, or any email about this. Please contact us so that we can get you a working cable. It is not very common to get a defective one, but it can happen. We offer lifetime warranty for just this reason. Give us a call or email. Thanks ! Exactly what e-commerce should be! Great prices(%90 less that Best Buy), Fast delivery, Easy to find what I needed, I will definitely use again! Fast delivery and great product. Thanks! Product was delivered quickly and works just fine. It was exactly what I needed at a decent price. This was my first cable from PCH - I was leery because the price was so good. I was expecting something more of a ""value"" quality. The cable is thick, solid and feels expensive. The end pieces are securely attached attached (no chance of flexing and coming loose) and the transmission quality is great. It's so rare to get more/better than you expected and at a low, low price. I have since bought 8 other cables from PCH and am recommending them to everyone. Copyright PCH Cables, Inc. All rights reserved. ** Not responsible for typographical errors.